It was great to spend the day with other writers, and to learn a bit more about getting to the core of a great pitch. An all too brief one-to-one session in the morning was followed by an afternoon of presentations, rounded off by pitches from seven brave souls and a wine reception. I came away feeing inspired by Pitch Live! – so much so that I was dreaming about pitching – and feel far more confident talking about my current project. Francis Bickmore: write what you don’t know. Follow your curiosity and make your book a journey of discovery – for both you and the reader. Oli Munson: The pitch is the heart of your book. Oli suggested that you look at books and films you enjoy and write your own three or four line pitches for them before writing your own. Clare Hey: The title of your book is important. Clare actually she came back to this again and again through the pitching later in the day. 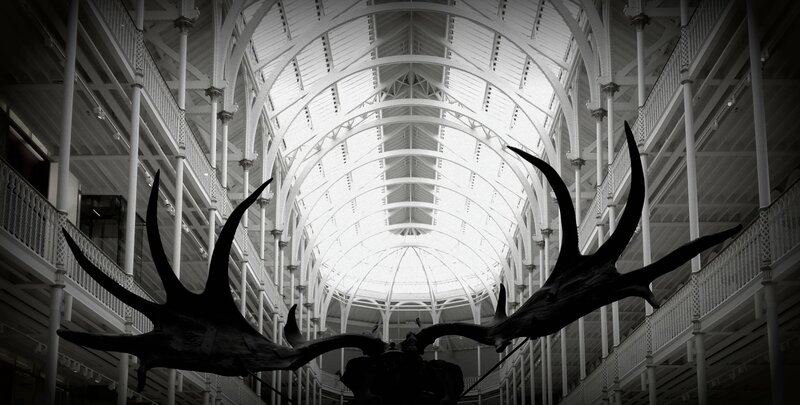 My slightly random blog post photograph is in the National Museum Scotland, where I dithered for a while between the one-to-one and the afternoon sessions. I never get tired of the place.